STEP ONE // Apply Colleen Rothschild’s Cleansing Balm. Remove with damp, warm cloth. 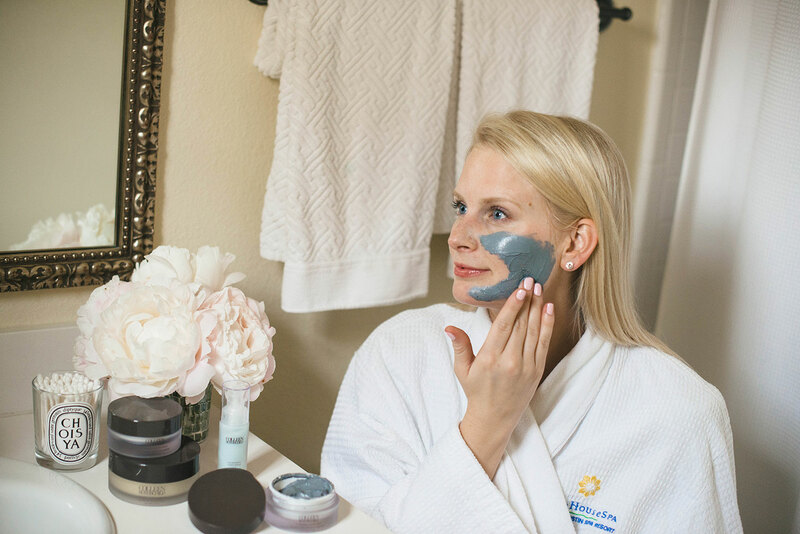 STEP TWO // Apply a thick layer of the Clarifying Detox Mask. Leave mask on for 15-20 minutes, then rinse with warm water. 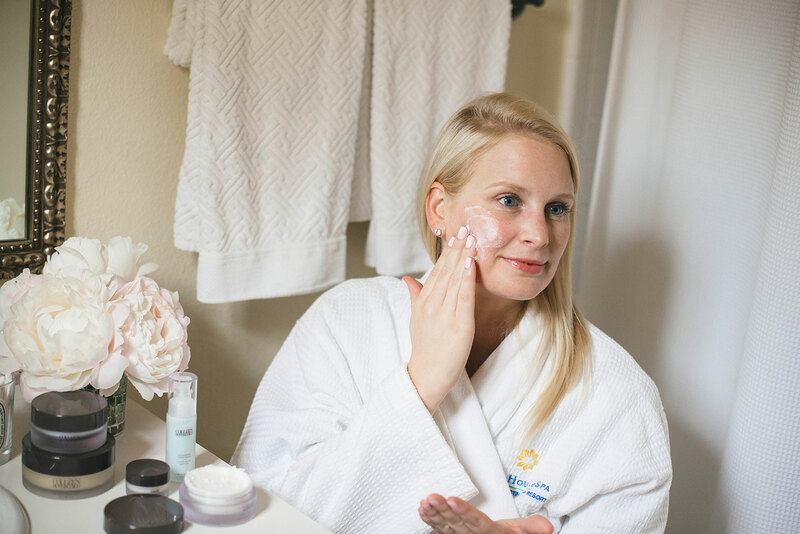 STEP THREE // Apply the Extreme Recovery Cream to entire face and neck. STEP FOUR // Apply a dime-sized amount of the Age Renewal Super Serum to your face. 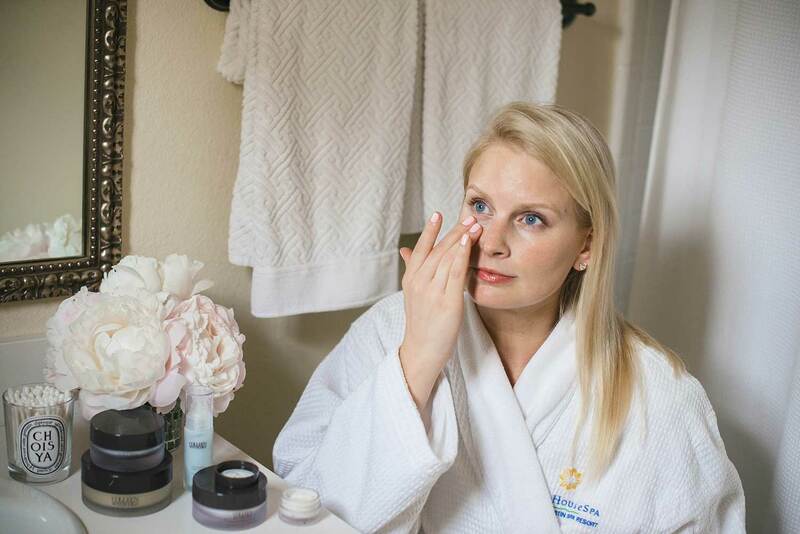 STEP FIVE // Apply the Complete Eye Cream to the sensitive skin around your eyes. And voila! You’ll come away from this at-home facial with glowing, radiant skin. My skin isn’t super temperamental, but every once in awhile I like to treat myself with a luxury facial at a spa. Because they are extremely expensive, I don’t go often. 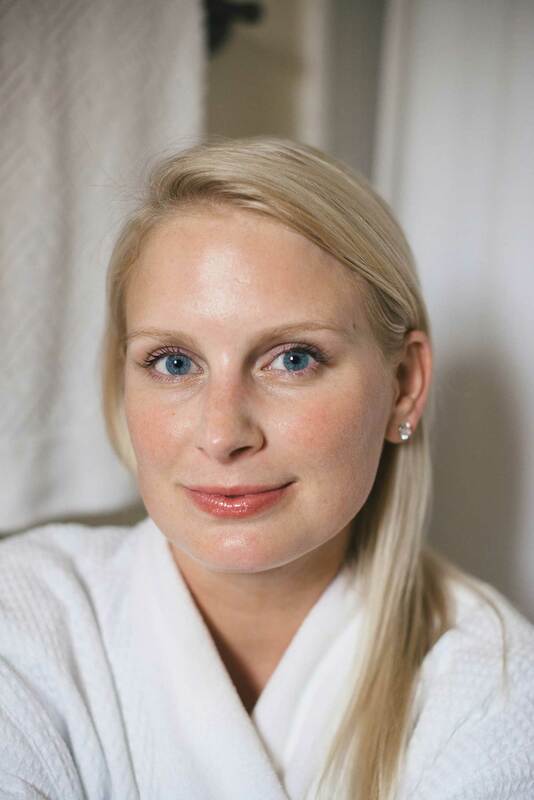 Instead, I create my own at-home facial with some of my favorite luxury beauty products! Since they are products I’ve already used and tested on myself, I know I’m not going to have a bad reaction, and since I own them, I can treat my self to a facial more often (and without the added expense). If you’re following along on SnapChat, you saw me do my mini facial a few weeks ago with these Colleen Rothschild products. I’ve used the Clarifying Detox Mask for a little over a year, but I was recently introduced to the Cleansing Balm. This balm is a total game changer! You know how some products just feel spa-level on your skin? There’s something about the thickness/consistency of the Cleansing Balm that takes this at-home facial to luxury status. 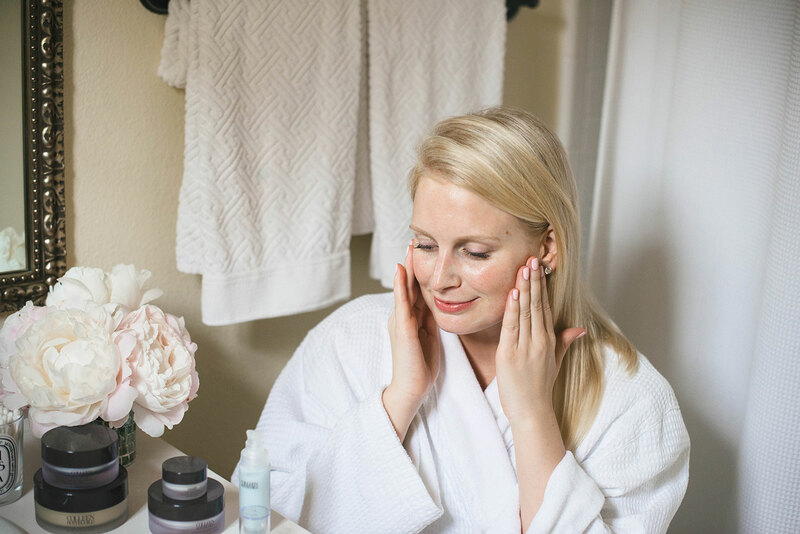 Follow the steps below to achieve that indulgent, spa facial from your own bathroom, and scroll to the very bottom for a special discount for The Style Scribe readers only!! Apply the Cleansing Balm to a clean, dry face. For the ultimate spa feel, grab a hot, damp washcloth and place over your face. The steam will help open up your pores and allow the cleansing balm to really penetrate your skin. 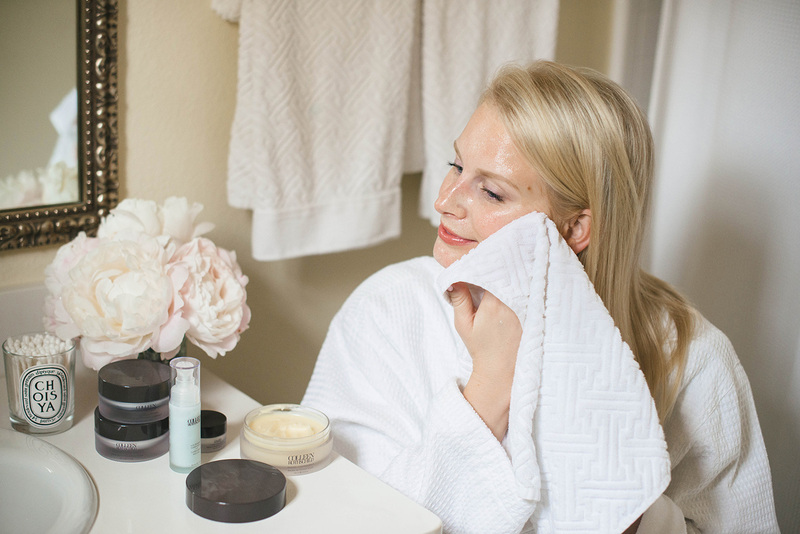 After five to ten minutes, use the same damp towel to gently remove the cleansing balm. Grab the Clarifying Detox Mask and apply a thick layer to your face, careful to avoid your eyes and hair. Let it sit for 15-20 minutes and then rinse. After the toxins in your skin have been extracted, grab the Extreme Recovery Cream and smooth over your entire face and neck. A little goes a long way here, so you don’t need to use much! For those of you concerned about anti-aging, apply a dime-sized amount of the Age Renewal Super Serum to your entire face. Finally, top the facial off with the Complete Eye Cream. The area around your eyes is the most sensitive, delicate part of your face, so it’s very important to properly hydrate and protect this area! 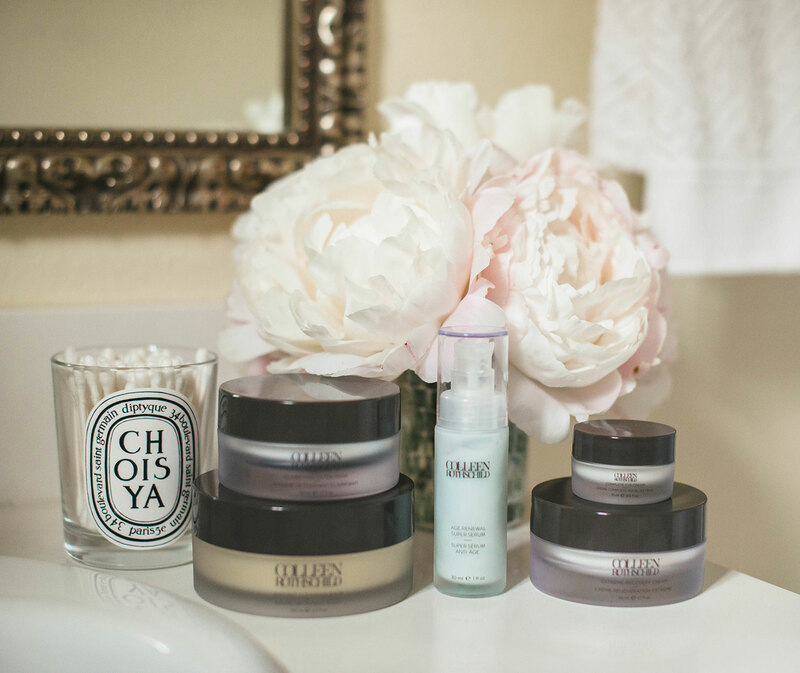 And there you have it – the perfect at-home facial! The only thing missing is a little Enya. PS – Colleen Rothschild is offering my readers 20% off your purchase on ColleenRothschild.com, now through June 19th! Just enter code SCRIBE20 at checkout. Happy Shopping! Skin looking so fresh! I just received all of this product, can’t wait to try! I’ve been using the cleansing balm. Such a great unique product! I’ll have to check out the other products you recommended.